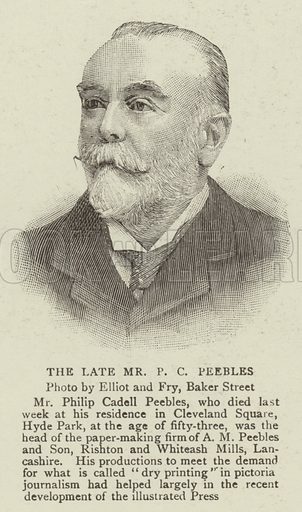 The Late Mr P C Peebles. Illustration for The Graphic, 7 December 1895. Available worldwide for immediate download up to 3,074 x 5,205 pixels.